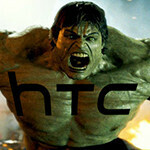 Monster quad-core HTC phone with 1080p screen headed to Verizon? UPDATE: The GLBenchmark "GL Environment" and "System Information" tabs confirm a Qualcomm MSM8960 quad-core Snapdragon S4 with Adreno 320 graphics and World Mode LTE/HSPA+ radio. The HTC rumor mill is clearly in overdrive today; earlier this evening we reported on a GLBenchmarked HTC phone that appears to be headed to AT&T (possibly as a follow up to their One series of phones) clocked at 1.7 GHz. Now another round of GLBenchmark numbers have shown up for a Verizon device that simply blows away any hardware that has yet appeared on the site. The mystery device with the model number HTC6435 would appear to be numbered as if it were a follow up to the Rezound, but it’s apparently packing something insane under the hood. While the device is clocked lower than the AT&T mystery device (at a “mere” 1.5 GHz), it beats the GLBenchmark scores of that other device by an astonishing 60%. For example, on the GLBenchmark Egypt Offscreen 720p test the AT&T mystery device scored a very impressive 8214 frames, but the Verizon mystery device scores an unheard of 13685 frames. But wait, we’re not done with the “what the heck is this device?? ?” reveals – this Verizon mystery device has a screen resolution of 1794 x 1080. Yup, we’re looking at a 1080p device here. What’s that you say? 1080p is actually1920 x 1080? True enough, but that leads us to the next point – it’s apparently going to be the first HTC phone with with onscreen buttons. At 1794 pixels high, there would be 126 pixels left over for navigation buttons. Given the unprecedented performance at unparallelled screen resolution, it would seem that we’re looking at an entirely new chip here, perhaps a quad-core S4 chip with the Adreno 320 GPU? Only time will tell, but there can be no doubt that this mystery device is packing some serious silicon beneath its Full HD screen. Also, given that we are talking about a Full HD screen, it seems likely that we aren’t looking at a 4.3” screen here; we’d say that 4.6-4.8” is more likely, and we may be talking about a 5”+ device that is entering into true phablet range. We’ll certainly keep you posted as we learn more, but one thing is certain; if the rest of the industry is keeping pace with HTC, we are going to be treated to some serious hardware upgrades in the second half of 2012. Um, I would imagine that this would be a tablet... I read somewhere recently that HTC confirmed a Flyer 2, maybe this is it. there's also that 5" HTC Phablet that was rumored to come to Verizon, maybe this lines up. The device number doesn't match HTC's tablet numbers, and does match some of their Verizon phone numbers. Also, unless it's a 7" tablet it doesn't make sense that the onscreen buttons would be on the bottom of the device. And with lots of rumors of an upcoming HTC phablet the facts seem to jive more with over-sized phone than tablet. Whatever it is, if it's packing an Adreno 320 it should be Playstation Certified. According to Qualcomm's roadmap, the Adreno 3xx series should be able to render PS3-caliber graphics. If it is a phablet, I wonder if it will be using LG's recently-unveiled 5" 1080p screen. Given the numbers we're seeing here, I'd say that seems utterly plausible. yes, because the hz is the only stat that matters. Most phones are beyond the Wii in graphics capabilities. If this isn't the case, why are 95% of Wii games looking like something from the PS2/Gamecube era? There's a slim few that actually try to do something with its hardware to put out some pretty good visuals like the mario galaxy game, Metroid Other M, Super Bros Brawl, Xenoblade Saga, but most games opt for the same usual crummy graphics. I never said that I was judging the GPU by its MHz, I know that much. I´m basing my opinion (educated, but opinion nevertheless) in the Console-PC graphic card equivalents and the Mobile-PC card benchmark testing. I was just curios about the claims of the SoCs manufacturers, so did a little study and that´s what I found: still far from PS3 graphs. Such power will have to wait at least two generations of mobile GPUs. End of 2014 or beginning of 2015. Ah! And the games may look like it, but the Wii GPU is 3 times more powerful than the Xbox and 4 times more than the PS2. Mobile GPUs have just past over the level of those two consoles. I don't think they're as far behind as you'd think. Have you seen Infinity Blade 2? Dead Trigger? Shadowgun? They blow away anything on the last gen consoles and the Wii, without question. Infinity Blade 2 utilizes the same engine that Gears of War 3 does. Unreal 3 can't even work on the Wii, Ubisoft tried to use it for Red Steel 2 but they had to just use a modified Unreal 2 engine because it was too much for the Wii to stabilly handle. I still give it a year before we have current gen level graphics, but by then the next gen will be out of course. I have seen those games in the tablets and think they are still some way to the console games. Probaly the difference is in the eye of the beholder. If you want some links that support my claims:http://goo.gl/S7ETF (check the comment " Correction? by ltcommanderdata on Tuesday, July 17, 2012 ") and here:http://goo.gl/7sT8H (check the position of the mobile GPUs, while a Wii would be an ATI Radeon X1400 equivalent, and yes, I also think they are understimating them) Anyway, we´ll check if I´m right or not after the new Clover Trail and OMAP 5 SoCs go to market this fall, as they use the same GPU and it will be possible to directly compare Windows Benchmarks with Android ones. Could be bye-bye RAZR and hello HTC for me as well. I hope HTC follows the form factor and materials they used in the EVO 4G LTE. That is a sweet handset, just limited to Sprint. or it could be just the new QUATRO..
With a screen at 5 inches, the phone would have a ppi count of 418. That'd be insane. Can I ask u a question about the Note, do you find it too big to fit in ur pocket or andywhere. Because I'm really leaning into a Note-sized smartphone. Of course it would go to Verizon . . . It'll be interesting to see how this stacks up against the LG Eclipse and the Samsung Galaxy Note II, and how well they actually do in the market. Is 5" really going to be the new 4"? It's the HTC PHANTOM !!! !